Berg Adventures is heading to Tibet in October/November this year and you’re invited to join us. Tibet is known as one of the spiritual centers of the world, but it is so much more. 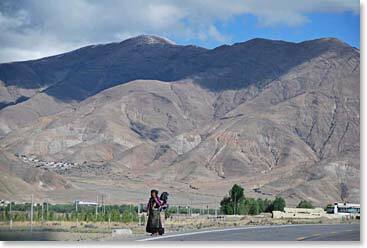 The Tibetan Plateau sits at an average elevation of 13,000ft-15,000ft/3960m – 4570m. The historic capital is the incredible city of Lhasa which lies at a height of 11,450ft/3490m and it is the perfect place to start our adventure as it submerses us in the rich culture and Buddhist traditions of Tibet. One of our first stops is an architectural wonder, the Potala Palace, which was constructed in the 1600s atop Marpo Ri (“Red Hill”) and stands watch over the capital city. The building is enormous standing 13 stories high, 1,300ft/400m long and 1150ft/350m wide with walls that are 16ft/5m thick at the base. Inside the palace holds 1000 rooms, 10,000 shrines and 200,000 statues. 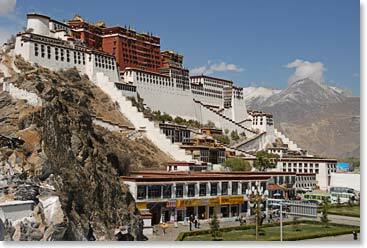 We will also visit the city’s monasteries and walk around the Jokang Square. After exploring Lhasa, we begin our journey down the Friendship Highway which connects Lhasa with Kathmandu. We will travel through incredible remote and expansive terrain surrounded by the world’s highest peaks including Mount Everest which lies on the border between Tibet and Nepal. 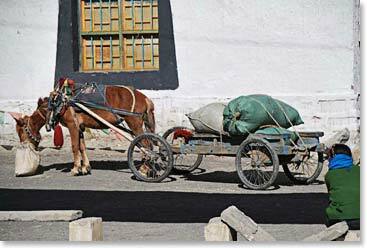 Our overland journey back to Kathmandu will introduce us to rural life in Tibet where the economy is dominated by subsistence agriculture – not an easy job on the high plateau. Only a handful of crops grow here including barley, buckwheat, rye and potatoes, though some lower valleys are more fertile and agreeable for less hardy crops. 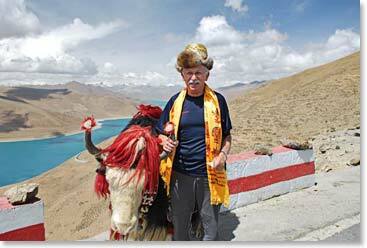 Herding animals is also a common form of subsistence and you will see many sheep, goats, and of course, yaks. A highlight of the journey will be to see Mount Everest from the north side. We will visit Everest Base Camp North which is accessible by road, unlike the South Base Camp in Nepal which is only accessible by foot. 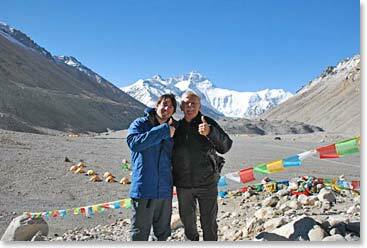 Click here to see the Everest Base Camp Trek itinerary for details. Trip dates inclusive of international travel from North America are October 25 – November 7, 2012. This trip is also available as an extension of our October Everest Base Camp Trek in Nepal. See Mount Everest from both sides! To learn more, visit the Berg Adventures Tibet Homepage or contact our office info@bergadventures.com.